Several fixtures light the outside of Rip and Lorie Connell's home in Chickamauga, Ga. 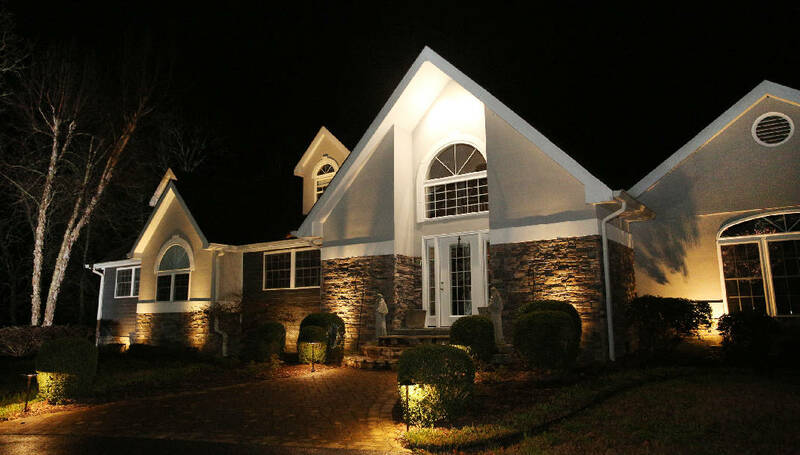 The outdoor lighting helps make the Connells feel safer in their house, and they say it gives their house a wow factor when they make their way up their driveway at night. Rip Connell lives in a picturesque home with soaring roof lines and arched windows near Chickamauga Battlefield in North Georgia. But until last year, the scenic setting was lost on anyone entering at night. Then Troy Oliver with LifeSpark Outdoor Lighting installed lights. 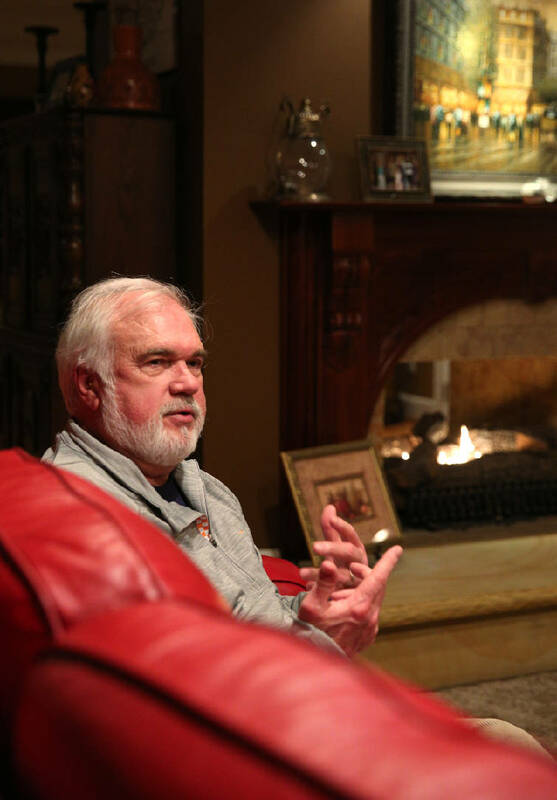 Rip Connell talks about the decision to get outdoor lighting at the Chickamauga, Ga., home he shares with wife, Lorie. The Connells say they feel safer with the added lights and like the wow factor the lights give their house at night. "Now when we drive into our driveway — every time when we drive in — we stop and say, 'Oh man, it looks so good,'" says Connell, who shares the home with his wife, Lorie. The property exemplifies the impact lighting makes on a home. "I love it, not only for the security reason, obviously, but it's also really pretty," says Lorie Connell. Joe Bozich, president of Outdoor Lighting Perspectives of Chattanooga, the largest landscape lighting and architectural lighting company in the Chattanooga area, says good outdoor light makes homes pop. Most customers who call for lighting fall into three categories, he says. The majority of them want to improve curb appeal at night. "People have pride in their home. They put a lot of work and money into it, and they want it to look as good at night as it does in the day," he explains. Customers also call because of security. Light is a deterrent to thieves, Bozich says. And finally, they call because of safety. They want to make sure pathways are illuminated so family and visitors can see walkways and avoid stumbles or falls. The Connells purchased their home in 2004. It came with a motion security light, but it illuminated so little, they couldn't see if the movement came from an animal or person. With the additional lighting, they can tell the difference, Lorie Connell says. LifeSpark works with Garden Light LED to provide custom-designed, American-made LED lighting for commercial and residential users like the Connells. The work comes with a lifetime warranty and free annual maintenance. To showcase the Connell home, LifeSpark increased the number of lights around the house from five to 19. "What really set it off were these lights coming down the walkway," says Rip Connell. Oliver also put lights around the garage and second-story dormers that accented the house. Rip Connell says he was impressed with Oliver's lighting ideas. "He sees things that I never would." Anybody can throw lights on a house and call it an outdoor lighting system, says Oliver. "We take the time to design the system specifically for the architectural features for the individual's home," he says. "Our slogan is 'We'll take your home from darkness to distinction.'" Likewise, Bozich says his customers are looking for outdoor uplighting to showcase a home's architectural features. Some also want to light trees and landscaping. Sometimes lighting just adds ambiance. With the opening of The Westin hotel, Edison-style bulbs now crissccross Pine Street out front, adding a festive air to the newly revitalized area around the hotel and serving as a backdrop for a regular slate of West Village street festivals each Saturday.